What is Yes We CAN! Food Drives? Yes We CAN! Food Drives is the name of a group of volunteers who seek to alleviate hunger in our area by holding food drives at local markets. The collected food is then donated to Arm In Arm to resupply its food pantries in Princeton and Trenton, where over 4,000 people a month come for free food. Yes We CAN! Food Drives Makes a BIG Impact — Since 2008, our volunteers have collected 300,000 pounds of fresh produce and nonperishable food from area shoppers. That’s 150 tons of food, making Yes We CAN! the largest single food drive donor to Arm In Arm. How Do the Food Drives operate? As shoppers enter the supermarket or stroll about the Saturday farmers’ market, our volunteers ask them to purchase either fresh produce or non-perishable food to replenish the supplies at Arm In Arm food pantries. Some of the shoppers prefer to give a cash donation which our volunteers then use to purchase food from the store or farmers’ market. It’s a win for everyone–the store owners, the farmers, and Arm In Arm’s clients. Yes We CAN! needs volunteers of all ages to collect food in two-hour shifts at area supermarkets and the West Windsor Farmers’ Market. 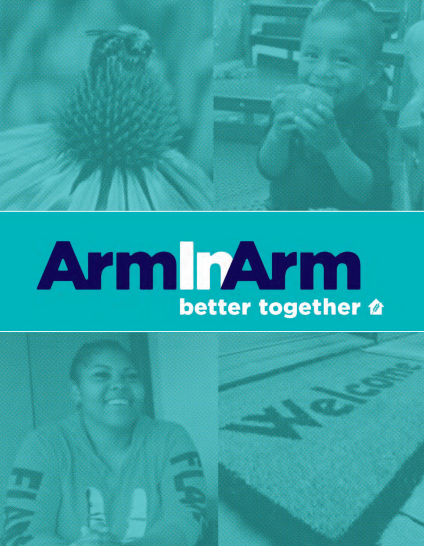 Whether you volunteer once a year or many times, your service is greatly appreciated by the food clients of Arm In Arm. For the volunteer, the experience is deeply gratifying knowing you have helped your neighbors in need. To find out more about volunteering and the collection schedule, email Alison Politziner at a.politziner@gmail.com.